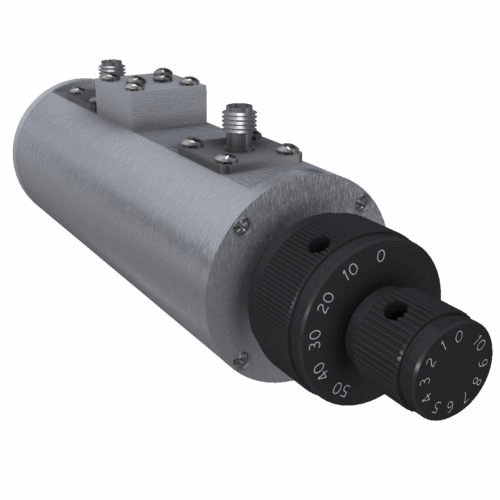 The 50DR-096 dual-concentric rotor offers manually variable attenuation up to 3 GHz. With 30 dB of total attenuation and 1 dB resolution, the 50DR-096 will suit most any 2.5G or 3G laboratory application. It is available with SMA connectors and is rated at 2-Watts average input power. Download the datasheet and drawing for more information.